CBS Sports’ NFL play-by-play announcer and Lamar University alumnus Bill Macatee will be interviewed on the next “LUTV on Fox” episode to premiere at 5 p.m. Sunday, Aug. 12. The quarterly television program is produced by the students, alumni, staff and faculty of the Department of Communication. The 30-minute program highlights the people, organizations and departments that have helped Lamar become one of the fastest-growing universities in Texas. The show will also feature Lamar graduate and musician Ashlynn Ivy, as well as industrial engineering major Elizabeth Wu and her mother, J.J. Chen, an associate professor in the Department of Family and Consumer Sciences. Macatee earned a bachelor’s degree in speech at Lamar in 1978 while working as sports director at Beaumont’s KBMT Channel 12. Since 1995, Macatee has been at CBS Sports, where he handles NFL play-by-play and plays a major role in golf and tennis coverage, including the Masters, the PGA Championship, the U.S. Open Tennis Championships and Wimbledon. Macatee has covered events including the NCAA college basketball tournament, two Olympic winter games, Super Bowls and World Series. 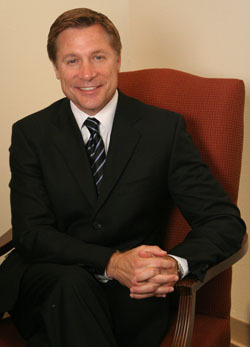 He was honored as a Lamar Distinguished Alumnus in 2011. Lamar alumni Brittnay Champine of Orange and Josh Yawn of Beaumont are the hosts of “LUTV on Fox.” The show was edited by student Kyle Brodeur of Bridge City, and features student reporters Enger King and Danyell Blough, both of Houston, and Evan West of Beaumont. 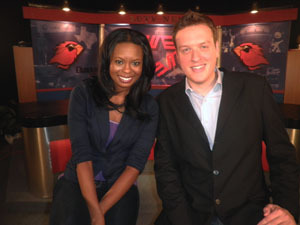 In June 2011, LUTV Productions earned second-place honors from the Press Club of Southeast Texas for “LUTV on Fox.” The program garnered second-place honors at the Lone Star Awards at the Houston Press Club in 2011 and 2012. Larry Elliott, associate professor of communication, and O’Brien Stanley, chair of the Department of Communication, are the program’s executive producers. “LUTV on Fox” will air at 5 p.m. Sunday, Aug. 12 on KBTV Fox 4.